Whether you're hosting a dinner or just looking for a winter warmer, nothing is more hearty than a pie (or better, many pies!). 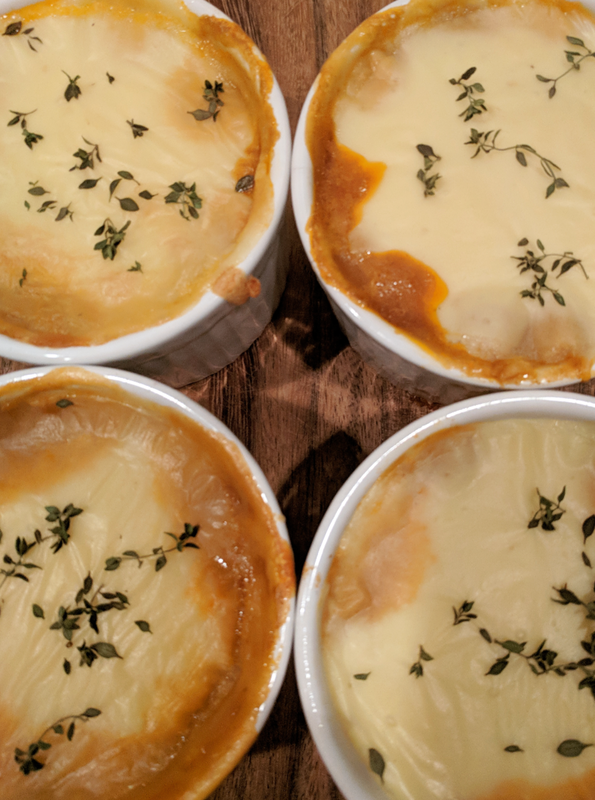 My Lentil Shepherd's Pies are healthy, made with veggies and spices, free of cheese, dairy and meat, and taste fantastic. You can prepare the veggie mix in advance and even freeze it, making it an ideal dinner if you don't have a lot of time. You can experiment with the veggies you have in the fridge, and even top with sweet potato or pea mash if you'd prefer. Grease 4-6 ramekins or one baking tray with olive oil and set aside. Preheat oven to approximately 200 degrees Celsius. In a large saucepan, heat oil for 30 seconds on a low heat. Add onion and garlic and cook for 2 minutes. Add celery, thyme, rosemary, cumin, chili and paprika and cook for a further 5 minutes, stirring regularly. Add tomato paste, zucchini, mushrooms, stock, lentils and seasoning. Cover and cook for 15 minutes on a medium heat. Meanwhile, place potato into a pot of boiling water and cook until soft. Drain and place potato, Nuttelex, milk (adding more or less until you get the consistency you want) and seasoning back into the pot and mash. Divide veggie mix evenly among ramekins or into one large tray and top with potato and extra herbs if desired. Bake for approximately 20 minutes and serve hot.